We started the week from Glen Lochay in glorious sunshine. On Monday we bagged Sgiath Chuil, Meall Glas, Creag Mhor & Beinn Heasgarnich and had blue skies, fluffy marshmallow clouds and view from all of them. We topped the day off with a swim/wash in a beautiful mountain river. On Tuesday we did 2 very hilly cycle rides and 3 individual Munros. The last cycle was relentlessly uphill and took it out of us a bit so we had a rest day in the cafes of Killin on Wednesday. 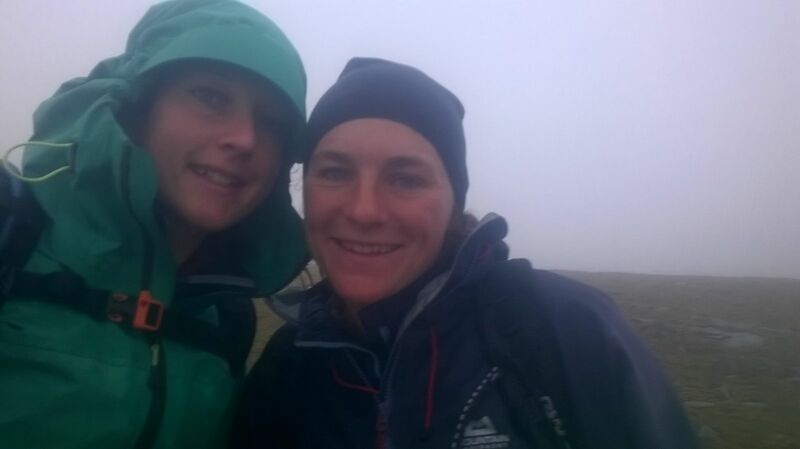 We also met up with a friend’s parents who have walked most of the Munros so we picked their brains about routes. 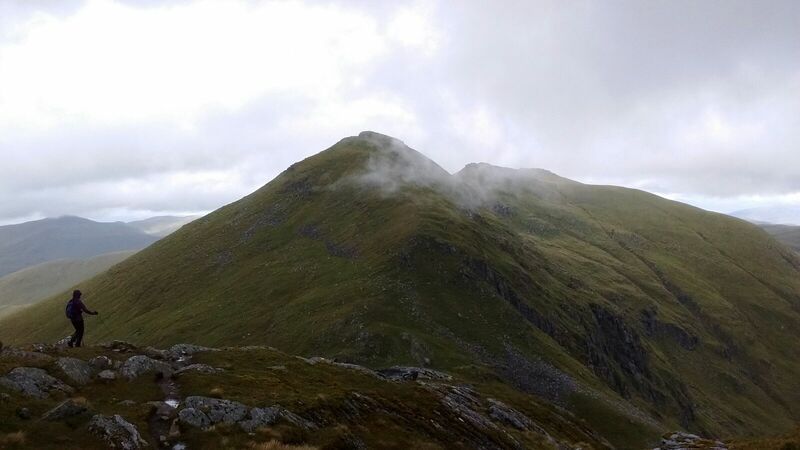 On Thursday we had a great day and bagged Meall Nan Tarmachan and then 7 munros in the Ben Lawers range. There were paths for the whole way and very little descent between them – what a treat! 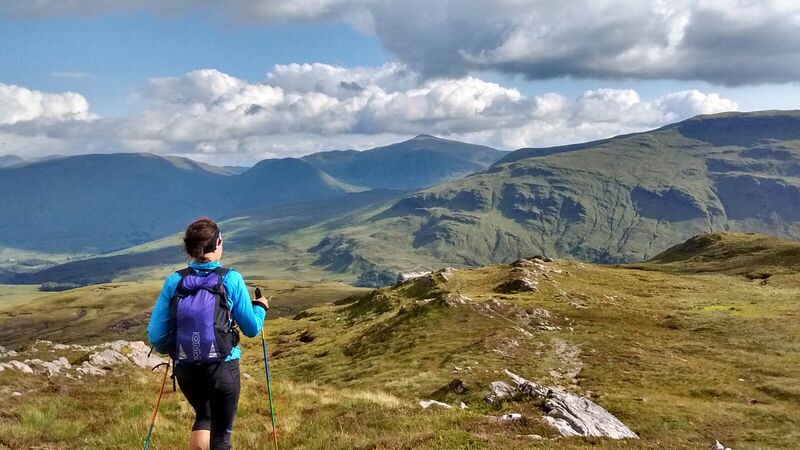 On Friday we did a little circuit of 4 munros (again with a path all the way!) and then cycled over to the iconic Schiehallion. 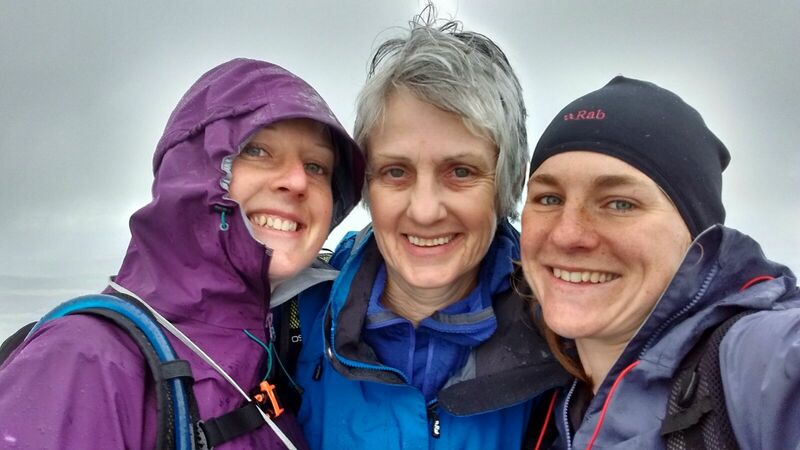 Julie (Libby’s mum) joined us for Schiehallion – her first Munro! We’re hoping she’s caught the Munro bug. For the weekend we had planned a 3 day trip with 2 overnight wild camps but found we could save a lot of miles, a bit of ascent and a lot of faff by splitting it into 2 long days instead and returning to the van. We did the first of these on Saturday starting with a 5 mile cycle from Blair Atholl followed by 32 miles of walking across heather covered slopes and an 8 mile mountain bike ride (in the dark)! It was midnight by the time we arrived back at the van tired, but happy. Big thanks this week to Steve (Libby’s boyfriend), Mike (Lisa’s boyfriend) & Adam (Mike’s friend) for dropping mountain bikes for us and to Julie (Libby’s mum) who has done a fantastic job of driving the camper van, shopping and generally making our lives so much easier over the last month but is heading home today.